Thought I'd enter the challenge on the Elizabeth Craft Design blog using Negative parts of die cuts... I love using negatives BIG GRIN. 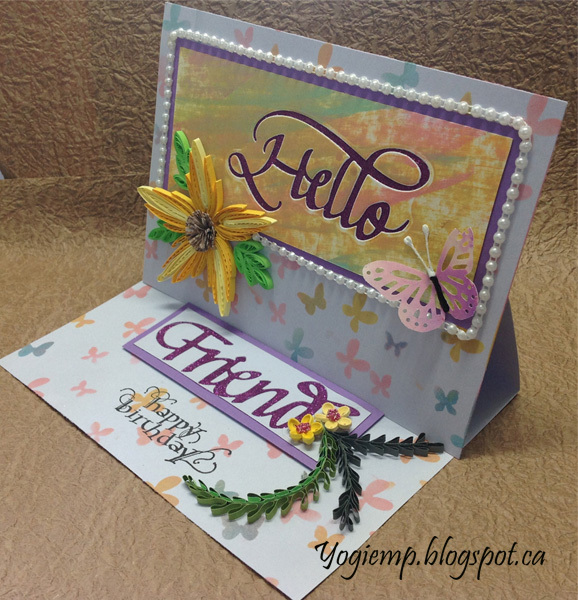 Your quilling is always a thing of beauty, Yogi, and those negative cuts sometimes work out as well as the positives, as you've clearly shown here. Pretty card! This is a really beautiful card. Thank you for joining us at Make My Monday. Sian. Beautiful card-love your quilling! 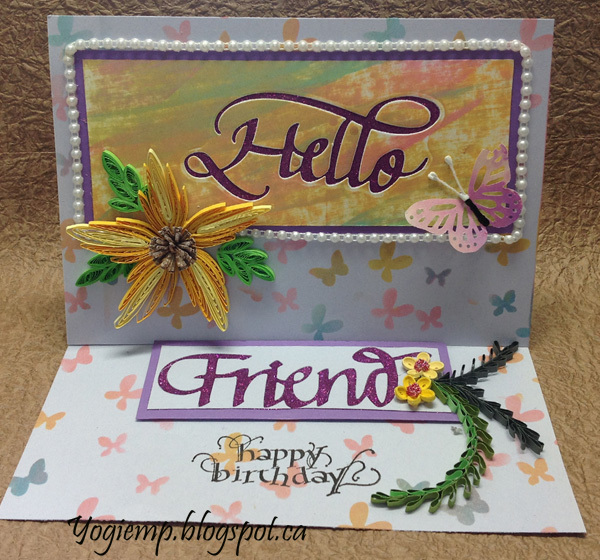 Thanks for joining us at Die Cut Diva's this month! What a great card! I haven't been able to master the whole quilling thing but looks like you have! It's lovely! I love all those pearls around your sentiment too! Thanks for playing along with us this week at Penny's and we hope to see you again! Oh my goodness, what a gorgeous card. Love the quilled flowers and addition of the pearls. Thanks for joining the Sisterhood's "The Letter B" challenge. Just beautiful Yogi! Your quilling is gorgeous! Thanks so much for joining us at The Sisterhood’s ‘The Letter B’ challenge and please come back again soon! Beautiful quilling, I'm not sure I have enough patience to do it. Thanks for joining us at Make My Monday. Beautiful card! I love colors! Thank you for joing us at Scrapy Land Challenge! Fabulous card! Love the technique! Thank you for joining us at Penny's Challenges. I love that flower and your design.Thanks so much for sharing it with us at Dies R Us Challenge Blog. Please join us in future challenges. A fab easel card with a gorgeous background! Thanks so much for joining us at CCCB! Beautiful quilling flowers on your stunning card! Glad you joined Digistamps4Joys and see you again. Wow, this is gorgeous! Your quilling work is truly amazing. Thank you for joining our challenge over at The Paper Shelter. We hope to see you again! This is a beautiful creation with great attention to detail and perfect for our ‘ANYTHING GOES with an optional twist of WEDDINGS challenge. Thanks for sharing your talent with us. Good luck.